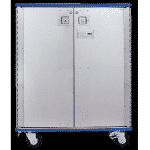 Closed Case Carts are designed for instrument transport throughout the facility. These carts keep processed instruments sterile while they’re transferred to the operating room. Over the road case carts are designed to be taken over thresholds. 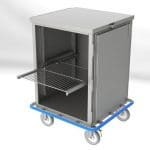 These carts are designed with larger casters and can help move product from a distribution warehouse to the facility.